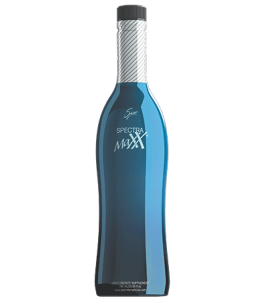 SpectraMaxx fills in the gaps found in our modern diets by providing the broadest spectrum of antioxidants and trace minerals ever contained in a single bottle. By combining the incredible ingredients of Spectra AO and SupraMaxx into a powerful supersaturated formula, Sisel has created the world’s first megatonic. SpectraMaxx also contains 74 essential trace minerals the body needs to sustain a variety of important biological functions. Scientists have identified as many as 2,000 different chemical reactions that take place in our bodies that may require minute amounts of elements we usually don’t think about. Low mineral content is one of the most noticeable deficiencies identified in modern foods, making supplementation with trace minerals crucial for normal function of all systems of the body. One of the keys to SpectraMaxx’s effectiveness is fulvic acid, one of the most essential organic substances for all life on Earth. By breaking minerals down into tiny ionic particles, small enough to be absorbed by the roots, fulvic acid enables plants to get the nutrition they need to power important functions like photosynthesis and cellular respiration. Without fulvic acid, most of the edible plants in the world wouldn’t survive, and the entire food chain would collapse. Once naturally occurring in soils everywhere, a deficiency in fulvic acid throughout the world may also be contributing to the low mineral content of food crops. Emerging research has shown that fulvic acid may be just as important for a healthy body as it is for a healthy planet. Not only does it make the trace minerals in SpectraMaxx more readily bioavailable, greatly improving absorption, it may also support healthy function of every system of the body, and is an effective antioxidant in its own right. Evidence of the potentially devastating toll our changing environment has had on our health can be found in the increasing occurrence of cancer. A recent breakthrough study conducted at the University of Manchester examined the preserved remains of hundreds of Egyptian mummies, searching for cancerous tumors. They found only a single case. Comparing this cancer rate of less than one percent to today, when one in every two people in developed nations will be diagnosed with some form of cancer in their lifetime, the researchers came to a staggering conclusion: cancer is man-made. While cancer is the most alarming example of how man’s quest for innovation and progress has had an adverse effect on our health, it is certainly not the only one. But if many of the common illnesses of our time could be man-made, might they also be avoidable? We believe so. SpectraMaxx provides the broadest array of antioxidants, trace minerals, and energy boosting vitamins the world has ever seen, and was made to provide essential nutrition our bodies need to protect themselves, but frequently don’t get in the typical modern diet. Just ¾ ounce provides a full day’s supply of trace minerals, full spectrum antioxidants, and vitamin D, with an energy boosting B vitamin complex as well.